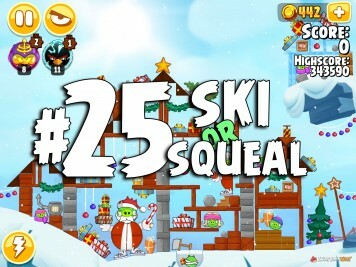 Day 24 of Angry Birds Seasons Ski or Squeal is live! Our walkthrough video strategy shows you one way of obtaining 3 stars in level 1-24, which was unlocked on Thursday, December 24th, 2015. 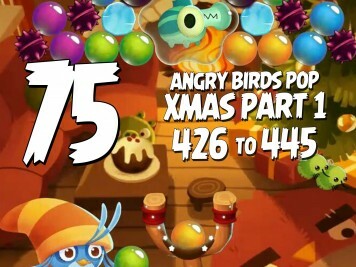 The holiday season is now officially in full gear thanks to the first Angry Birds Pop Christmas update! 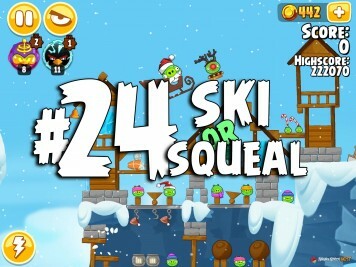 In Part 75 of our Angry Birds Pop video walkthrough series we play through levels 426 through 445. 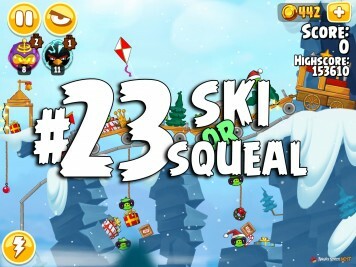 Day 23 of Angry Birds Seasons Ski or Squeal is live! Our walkthrough video strategy shows you one way of obtaining 3 stars in level 1-23, which was unlocked on Wednesday, December 23rd, 2015. 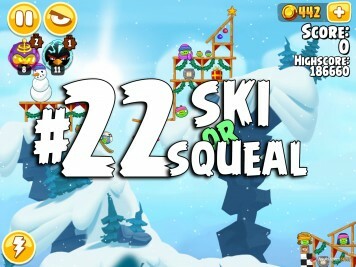 Day 22 of Angry Birds Seasons Ski or Squeal is live! Our walkthrough video strategy shows you one way of obtaining 3 stars in level 1-22, which was unlocked on Tuesday, December 22nd, 2015. 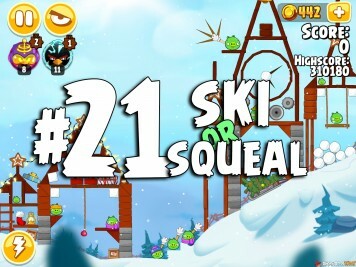 Day 21 of Angry Birds Seasons Ski or Squeal is live! Our walkthrough video strategy shows you one way of obtaining 3 stars in level 1-21, which was unlocked on Monday, December 21st, 2015. 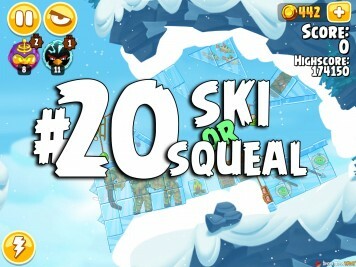 Day 20 of Angry Birds Seasons Ski or Squeal is live! Our walkthrough video strategy shows you one way of obtaining 3 stars in level 1-20, which was unlocked on Sunday, December 20th, 2015. 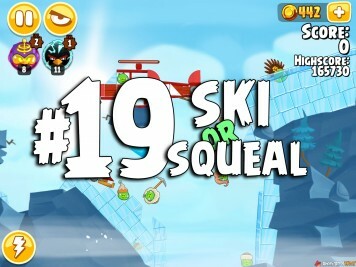 Day 19 of Angry Birds Seasons Ski or Squeal is live! Our walkthrough video strategy shows you one way of obtaining 3 stars in level 1-19, which was unlocked on Saturday, December 19th, 2015. 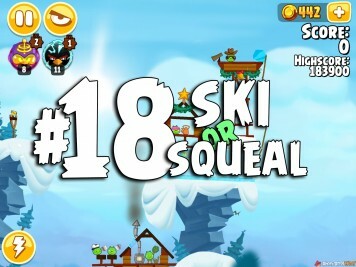 Day 18 of Angry Birds Seasons Ski or Squeal is live! Our walkthrough video strategy shows you one way of obtaining 3 stars in level 1-18, which was unlocked on Friday, December 18th, 2015. 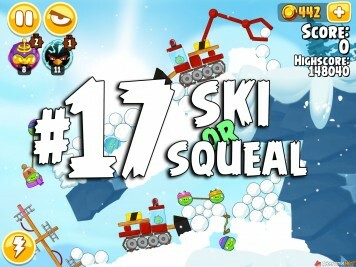 Day 17 of Angry Birds Seasons Ski or Squeal is live! Our walkthrough video strategy shows you one way of obtaining 3 stars in level 1-17, which was unlocked on Thursday, December 17th, 2015. 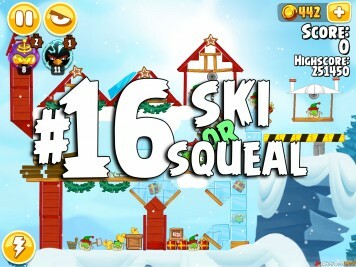 Day 16 of Angry Birds Seasons Ski or Squeal is live! Our walkthrough video strategy shows you one way of obtaining 3 stars in level 1-16, which was unlocked on Wednesday, December 16th, 2015. 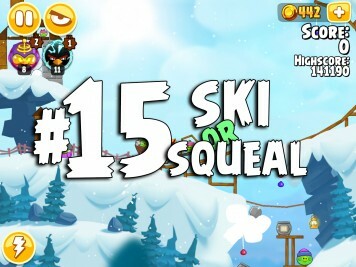 Day 15 of Angry Birds Seasons Ski or Squeal is live! Our walkthrough video strategy shows you one way of obtaining 3 stars in level 1-15, which was unlocked on Tuesday, December 15th, 2015. 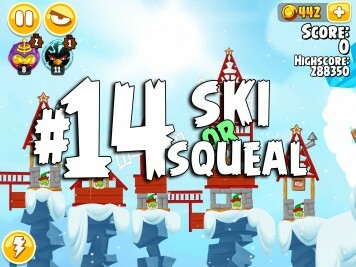 Day 14 of Angry Birds Seasons Ski or Squeal is live! Our walkthrough video strategy shows you one way of obtaining 3 stars in level 1-14, which was unlocked on Monday, December 14th, 2015.